Is The Christopeit Cambridge II Rowing Machine A Good Example Of An At-Home Model? The Christopeit Cambridge II Rowing Machine is a good looking machine with some interesting features. The body comes in a silver and red design with a nice slim profile, there is a computer display and a latex cable system. 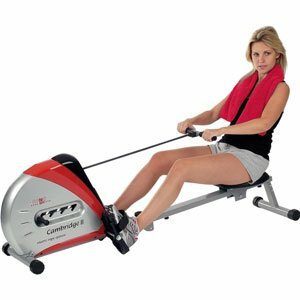 This rower is designed to tone the whole body, with a focus on upper body strength and arm and leg musculature training. Is there enough here to keep most users happy and healthy?